I wanted to ask the band about their new release, as well as the future and upcoming festivals, so I put some questions to them which were answered by Guitarist, Tom Wills. 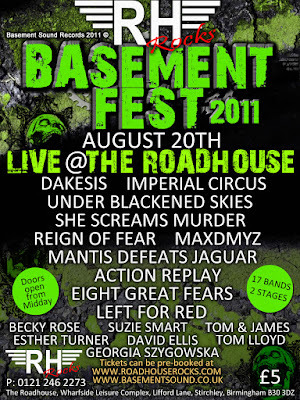 CL: So you looking forward to playing the first ever BasementFest on August 20th? 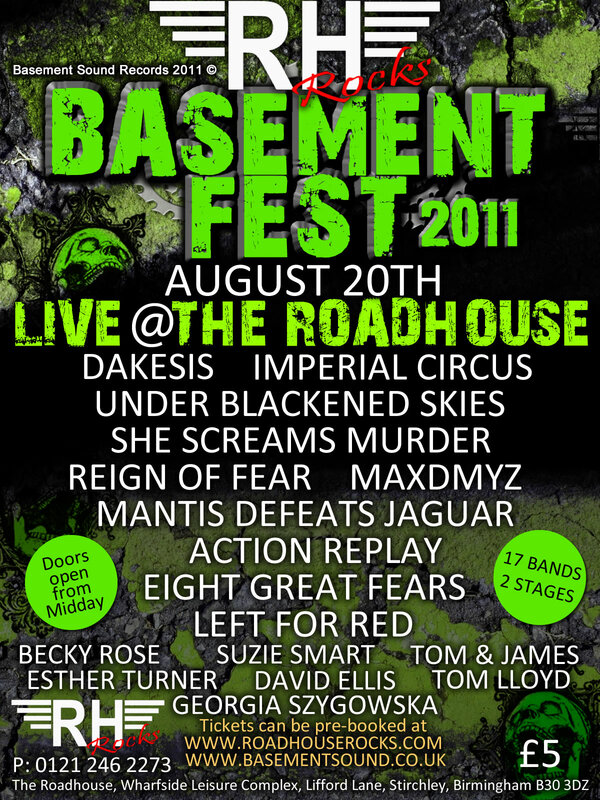 SSM: We are very excited about being part of the very first BasementFest 2011. We have done a few gigs for Alan of the Arc show previously and we have thoroughly enjoyed every single one so this is one we have been looking forward to since the day Alan said it was in the pipeline and now its happening with us on the bill so its awesome! CL: Are you proud of your debut EP? What's your personal favourite song on there and why? 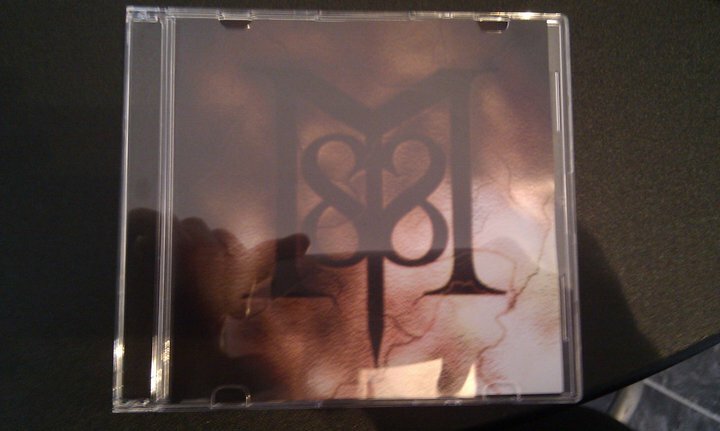 SSM: We are extremely proud of our debut EP. We just cant see how else we could have improved it in any way, shape or form. Our personal favourite track has got to be You'll Never Be Alone, it literally sums up what our band is all about mixing melodic and big sections with brutality. Its especially a great track for live purposes as everybody seems to sing back at us those 4 words "you'll never be alone!". For us there is no greater feeling than having a crowd sing along to the songs your band have wrote. CL: What would you say are the main influences on the EP and what was the recording process like? SSM: We are all massive killswitch engage fans and the main approach to our song writing is to make someone uncontrollably and sub-conciously tap their foot or nod their head using groovey heavy brutal riffs and then later on making the hairs on the back of their necks stand up by throwing in a big theatrical section weather it be a chorus/bridge/solo. We was always told "its generic, its already been done" well who cares? That is what people want in a song, that is what people will want in years to come from a song. Metalcore is back on the rise in the music world and becoming more popular than any other sub genre of metal music. The recording process could only be described as fun! Dan Willett of Collision Process recorded, Mixed and produced our EP at univibe Birmingham. Dan was great to work with and stressful at the same time haha, being in a prog metal band himself if your slighty off with your timing the cane was coming out! Jokes! at the end of the day he has made this EP sound fantastic because of being straight and frank with us and we cant thank him enough! 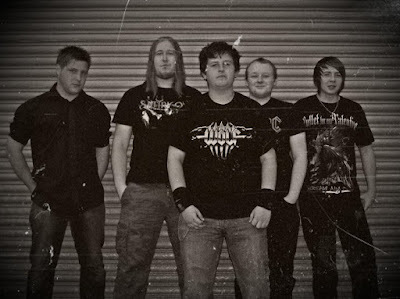 Check out our good friends in collision process by the way they are awesome! CL: Nice cover artwork for the EP.... Who designed it? SSM: Thank you, we have been trying to come up with the artwork for the last year believe it or not for this specific EP. Our bassist Andy W is the main designer of all our graphics so he designed the majority of the artwork but it was actually our drummer Jake who came up with the SSM logo which appears on the front cover and the CD face. CL: What 3 words would you use to describe the EP? CL: I would love to hear more from you, do you think a full length album is on the cards for the future? SSM: We have been discussing this already since the EP had the great reviews from yourself and tony gaskin of midlands rocks. We are liking the idea of a full album and a little secret we have is that we have already commenced song writing for the next EP or full album. We are going to give it till the end of the year to see if there would be a demand for a full album but never the less the plan is to hit the studio mid 2012 to record either another EP or a full album. So you'll have to keep tabs on us till then when we make our decision. CL: How did you come up with the name "she screams murder"? And why did you change the original name "serenity lies within" to this one? SSM: We didnt actually come up with the name, it was given to us by Jay Smith (vocalist of Frozen Theory) who was jamming with us in rehearsals at the time we named the band again and we still continue to jam out an old skool killswitch cover at gigs with Jay now and then. We changed our name to She Screams Murder because when the band started, the previous guitar player before Andy P was so controlling and was leading the band on a crash course into a brick wall as he was the founder of the band. It was his way or the high way more or less. Obviously you cant kick out a founder of the band so the next option was to start a new band with the remaining members bar him cause everyone else had such a great chemistry. So people who refer to us as the old serenity lies within, they can say that because some of us are original members of that band but as far as we are concerned she screams murder is an entirely different band that we are proud to be of and not so much serenity lies within. CL: Are you planning to go to any festivals this summer? CL: What would be your dream band to support? SSM: We'd love to support Killswitch Engage or Times Of Grace just to hang out with the madman himself Adam D haha but on a serious note there may be something happening for us in the future because of a great lady who has helped our band so much who goes by the name of Hils from Ovation music management. So hopefully we could be supporting 36 crazyfists on their next Birmingham date but its a big if, but if we get it that would be a dream come true in itself.